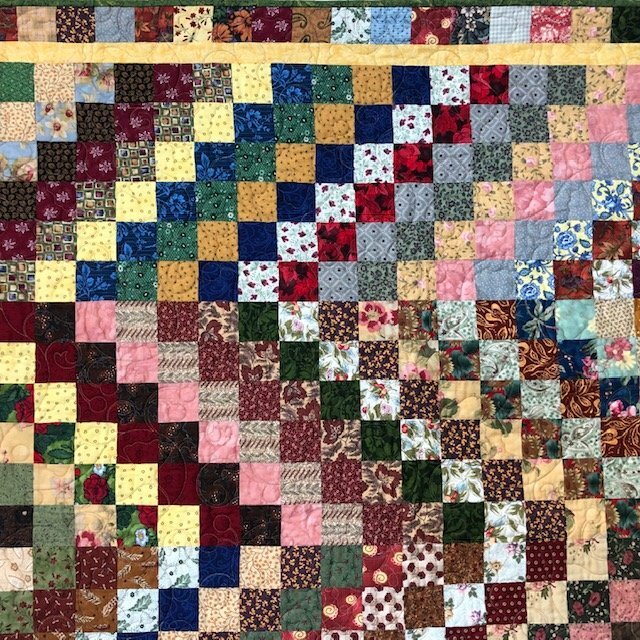 This quilt is such a great scrap quilt, especially if you limit scraps to a defined color palette. You need lots of scraps, or fat quarters. We have even used left over jelly roll strips from other projects. Anything goes!! This is an intermediate class which is a little more advanced for someone just starting out. Louise is a fantastic teacher that will teach you all her tips and tricks for this fun quilt! Picture shown is just one option. We have three options hanging on the wall at the shop. Be BRAVE - Use your creativity!